The only thing I talk about as much as the fact that I moved or Niall Horan is, undoubtedly, the constant state of wretchedness that is my skin. I know, you get it, I have persistent acne that fluctuates but never completely goes away no matter what skincare regimen I'm on or prescriptions I am prescribed by my dermatologist and gynecologist. However, I had things pretty under control with my skin where I only had a spot at a time and some residual redness. And then...I moved. About three weeks after my move my skin decided to go to crap and I've been struggling ever since to find something that worked for me while also getting to the bottom of the situation. Why was my skin reacting poorly when the only thing that changed was my environment? After look at some face charts, I was able to pinpoint that the breakouts I was getting on my cheeks themselves though were because of environmental factors. This makes total sense when you think about it. The air is full of a ton of pollutants, I'm touching grimy surfaces on the subways and streets every day, and it's all getting trapped onto my skin, especially when it's hot and humid outside. It's no wonder my skin decided to rebel against what's around me in the air and free radicals. Two months and some change later, my skin is doing worlds better. I know I'm going to get like five huge zits after I say this because every time I congratulate myself and compliment my own skin, it hears me and decides to rebel. It's fine, I know the pattern all too well by now. The real question is...what did I do to my skin to help fight against the damage moving did to it? First things first, I continued to take my Spironolactone (not specifically a prescription for acne, but it is commonly prescribed to help women fight hormonal acne by reducing sebum excretion) along with my birth control (Juleber, if you were curious for any reason–I was prescribed this specifically because it works well with Spironolactone and helps with acne as well). Obviously, prescriptions are something that you have to bring up with your doctors and I know these aren't OTC solutions for everyone. The only side effects I notice from my Spironolactone is that I have to pee a lot more than usual and if I don't eat anything before I take it in the morning, I will get dizzy and weird vertigo symptoms (this has only happened to me twice in the 2 or so years that I've been taking it and I take it twice a day, just FYI). Again, I'm not a doctor, this is just what I take at the moment and have been since last winter and it's been working well for me. 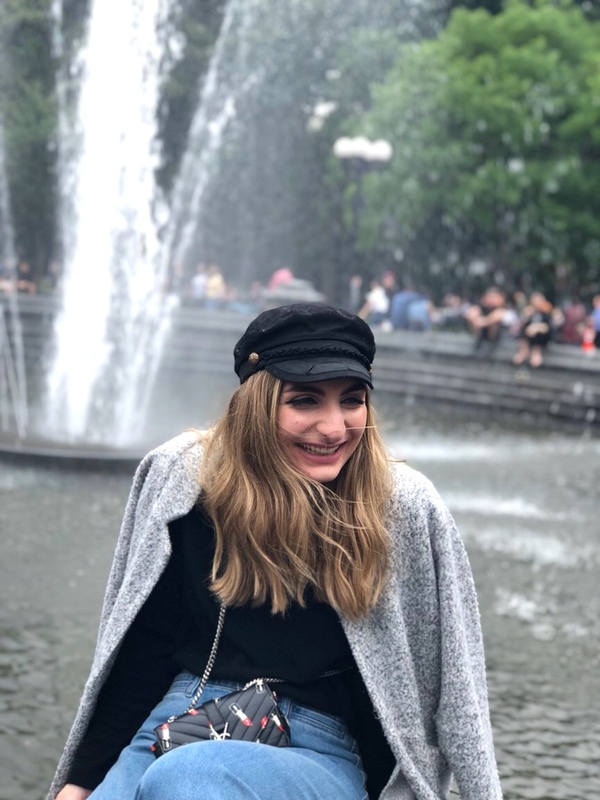 Also, these are two really simple tips, but guys, they work: (1) take your makeup off as soon as you can and cleanse your face and (2) stay hydrated. The second I know that I'm not leaving the apartment again, I wipe off all of my makeup and makeup sure I cleanse and occasionally tone if it's going to be a while until I shower and wash my face again to ensure all of the makeup and grime is off. And need I say more about staying hydrated? We all know why water is insanely important, let's not forget now! Once upon a time, I had an email from Lexli sitting in my inbox right before I went to California for work. I decided to sit on the proposal for the weekend because I don't like to do a ton of posts featuring gifted or sponsored content. And then I got back from California and my skin was so bad that I was honestly so desperate to try anything to make it go away that testing out this four-part acne clearing kit from Lexli wasn't even a second thought anymore. Honestly, that California trip was great for many reasons, but I'm so happy it messed my skin up enough that I wouldn't let myself go on without trying this kit out. This kit contains four different products: a cleanser, a clarifying lotion, an exfoliant, and a moisturizer. The cleanser is self-explanatory, I think. It removes dirt, acne-causing bacteria, and excess oil from the skin's surface while also deep cleaning pores. It's supposed to reduce shine on your face and get rid of any congestion in your pores. It also contains antioxidants that aid in the fight of free radical damage. The Clarifying Lotion clears breakouts and gets rid of congestion in your skin and can reduce the appearance of future breakouts. It contains Benzoyl Peroxide, Salicylic Acid, Sulfur, and Zinc Phrithione, which are four common ingredients to effectively treat acne and reduce the presence of bacteria. The Glycolic Acid Exfoliator brightens and softens skin. It reduces the look of sun damage, aging, hyperpigmentation, and diminishes fine lines. It also unclogs pores and shrinks the appearance of any post-acne pigmentation aka scarring and redness. 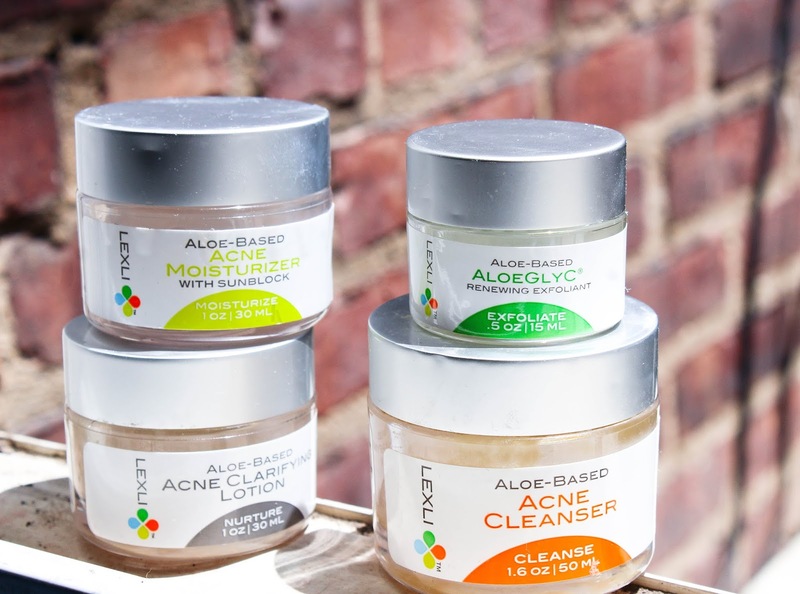 And last but not least, need I say more about the Acne Moisturizer? It, get this, moisturizes your face! It also has SPF in it, which is very important to use, especially after the Glycolic Acid Exfoliator, which will make your skin more susceptible to sun damage. You use the first three both morning and night, but you only use the moisturizer during the daytime after the first three steps. I'm not going to lie, after about two weeks, my skin got worse for a hot second. I was expecting this though because when you read the directions for the kit, it says that due to the skin's reaction to the exfoliator, your skin might purge aka it might get worse before it gets better. Which is precisely what happened to me! I had about a week of it being borderline atrocious to being what it is now, which is pretty damn acceptable if you do ask me. The kit is meant to last around 30 days (and that's when you should start to see the full results) and I stretched it a few days further. Truth be told, skincare is a mystery sometimes. I don't know why certaint things work for me and why certain things do. All I know is that my skin, even if it did have that week of purging, reacted very well to this kit. And for less than $60 for four different products, how could you go wrong? I've been dying to try Herbivore products for a while now, especially seeing all of the minimalistic products featured in the most gorgeous flatlays all over Instagram. Alas, Herbivore is pretty damn pricey and I just can't swing that right now. However, over on Sephora's website, they have a couple of sets that feature smaller products of their popular items, which is all I could ask for. 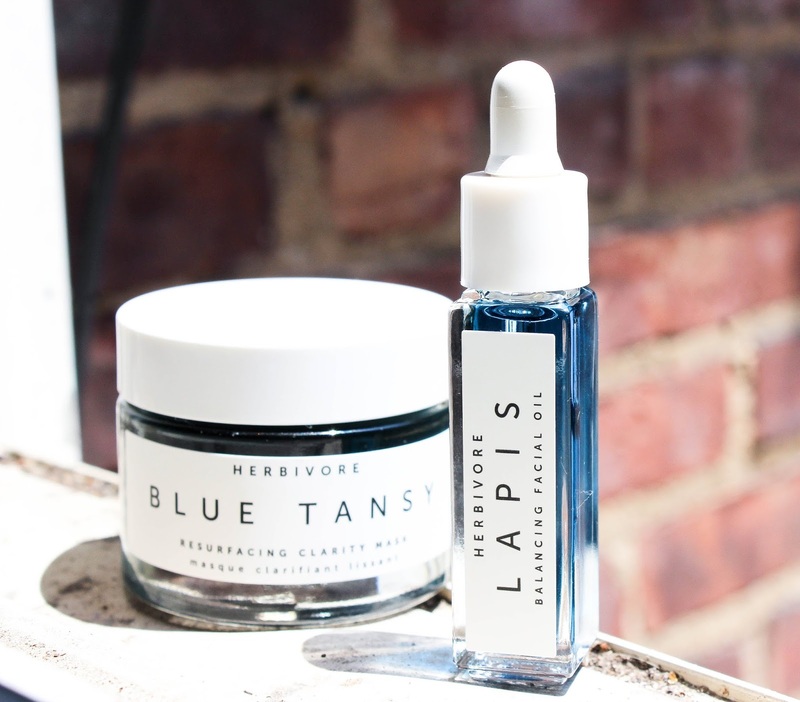 This kit was only $30 and features two of their popular products: the Blue Tansy AHA + BHA Resurfacing Clarity Mask and the Lapis Balancing Facial Oil. This duo combined is meant to clarify, resurface, and soothe blemishes and your overall skin. The Blue Tansy Mask contains blue tansy oil, which is an anti-inflammatory that will soothe irritated skin and reduce redness. It also contains a natural BHAs and AHAs that exfoliate and shed dead skin cells. Last but not least, it's got a bit of aloe leaf in it as well to decongest your pores and smooth out your complexion. Leave a thin layer of this on until it dries and bask in the smoothness that is your skin! The Lapis Oil is something that I actually sampled when I first moved to New York, but I never quite had the nerve to get a full-sized. I know what you're thinking. You put oil on your face? Isn't the whole point to get rid of oil? Well, yes, but that's sebum we're talking about. This kind of oil isn't what's going to cause the breakouts. This is a hydrating face oil that will improve redness and diminish blemishes, similar to the mask. It hydrates your skin without clogging your pores and aids in stopping excess oil production AKA what causes breakouts. Everyone and their grandmother's has seen the original Glow Recipe Watermelon Sleeping Mask all over Instagram, it's undeniable. But, did ya know it comes in a sheet mask version now? The price is a little steep ($8 for a sheet mask? YIKES) while the original is only $45 for the jar, but the mask does such a good job that I'm not even mad about it. 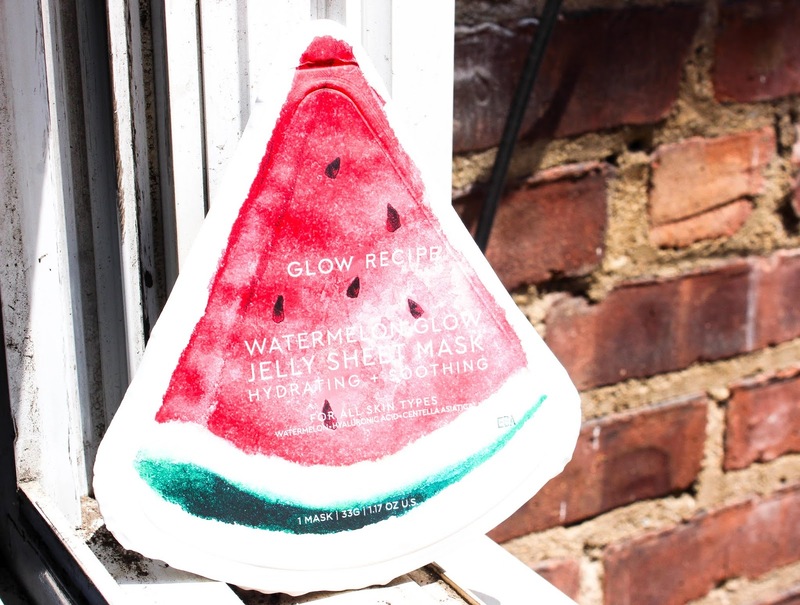 The Glow Recipe Watermelon Sheet Mask comes in two parts: a part for your forehead and nose and another for your mouth and jaw area. Be careful though, this mask is slippery as all hell and also super delicate. I tore mine by accident trying to adjust it around my eyes. However, once you have this in place, kick back, relax, and let the hydration set in. My skin felt ridiculously soft, almost comically so after I took this mask off and rubbed the excess into my skin. The mask is said to be a quick fix for dry and tired skin and I have to agree. It's an instant surge of hydration and it was pretty incredible how much of the product can seep into your skin just from a simple face mask. I prefer to use these masks at night as a hydrating treatment, but you can also use it in the morning before you put your makeup on to "de-puff" your face. Would I pay $8 for this again? Honestly, there's a good chance that I would. What are your favorite products in your skincare regime? Such great product suggestions! I need to try the face mask. The Glow Recipe mask was SO nice.